A Spanish translator helping out along with the actresses. 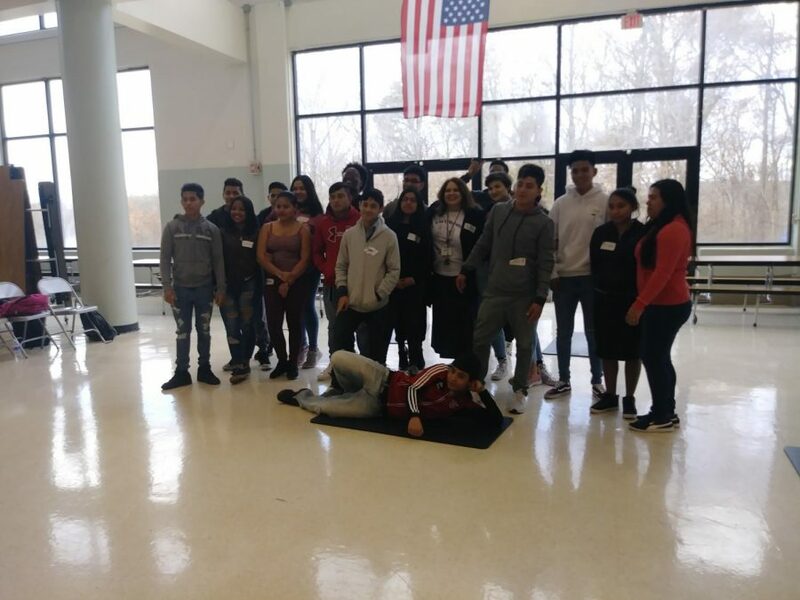 ESOL Theatre students participated in a two-part Master Class on stage combat on November 19 and 20. The event took place in the cafeteria during third period classes. 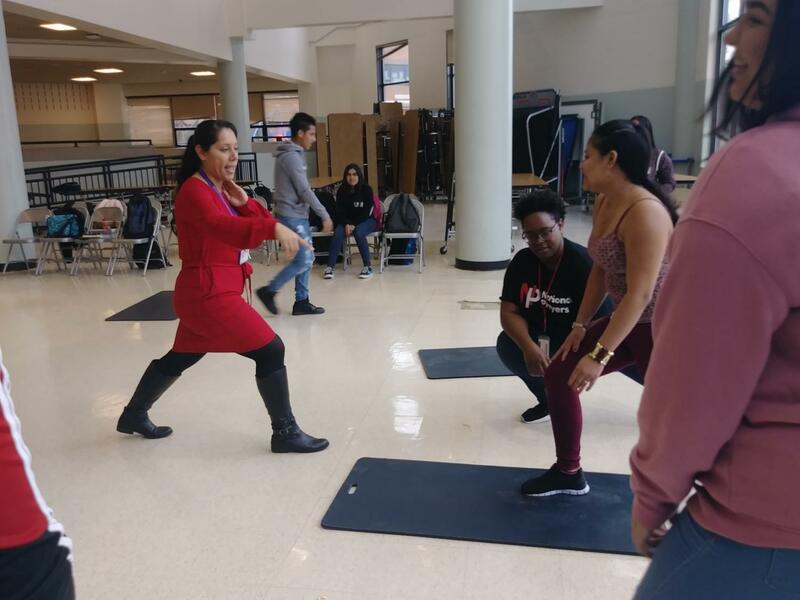 ESOL Theater teacher Sharon Faber arranged for professional actors and teaching artists from the Olney Theatre to teach students how to act out scenes involving physical combat, such as getting slapped without contact, throwing someone and fencing. The first day focused on the safety aspect while the second day allowed students to perform a scene. “[The master classes] are very physical, so [the students] are going to be up out of their seats,” Faber said. The students acted as different characters and incorporated the stage combat that they learned into their scenes. The scenes are from commedia dell’arte, which is a form of theater from Italy during the 1600s. Alice Kabia and Alanna McNaughton were the actresses instructing the students. They teach many courses in theater, including a Shakespeare course and an improv class. This was the first time they taught students stage combat. “It was nice seeing [the students] put their own humor into the things we taught them, so it didn’t really seem robotic,” Kabia said. A Spanish translator was provided for the students since most of them were new to speaking English. Students were graded for participation. “Theatre is all about movement, interacting and communicating,” Faber added. This is the third year of ESOL Theatre at Watkins Mill, as the course was created by Faber herself. “I created [ESOL Theatre] so that [the students] availed a real bonafide fine arts theatre that they can get credit for,” Faber added. Faber used to be an actress herself and now has a degree in theater, and is certified to teach ESOL. “I certainly hope all of [the students] succeed in their future theatrical endeavors as well,” McNaughton said.